I have had this post sitting around for awhile, needing words. Like two years. Turns out that writing about one of your favorite books in ALL THE WORLD is difficult. I mean, where do you begin? The writing. The setting. The characters. The timelessness. The Canadianness. The marvelousness. And quotes--LM Montgomery's writing is so marvelous it just demands to be quoted. But where to start? However, this week, I have been enjoying the #12daysofannestagram pictures up. So fun! So I decided to get it together and do my own week of Anne. Or rather LM Montgomery. 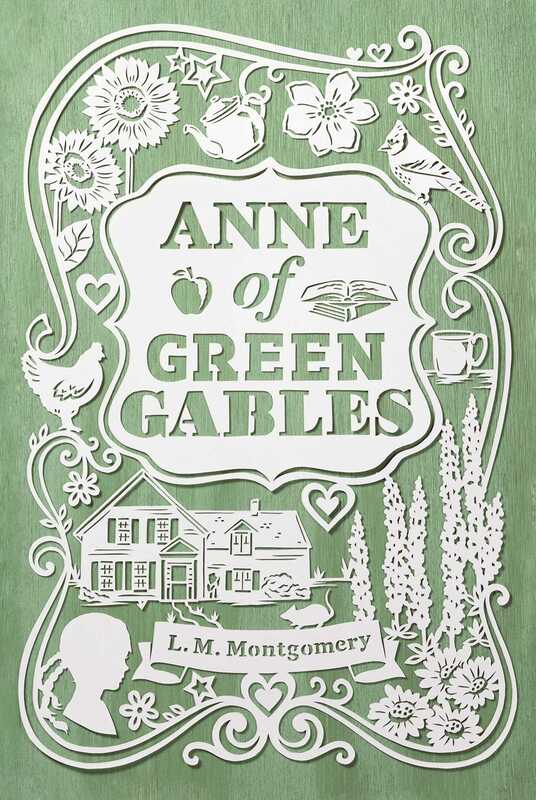 There are a lot of very beautiful editions of Anne of Green Gables nowadays. Every once in awhile, I am tempted to buy one. But I am a sucker for sets. I don't want a beautifully illustrated book and 6 other books that don't match the first. For sheer color, this set is hard to beat. These are my current favorites. These are by Elly McKay, a Canadian artist. It is all cut paper that she arranges just so and photographs. Or at least that is what I understand of her process. That Rainbow Valley cover!! And Windy Poplars and House of Dreams. I just really want these ones so I can look at them more closely. Anne is delightful. She is fierce. Imaginative. Delighted with life. Longing for all the right things. Sees all the right things. There are so many different reasons to love Anne. Her fierce independence, her determination, her imagination, her ability to see magic where everyone else sees the prosaic, her passion, her poetry, her fanciful fairy world.... So much to love! I love Anne the most fiercely for her ability to see magic where everyone else sees the prosaic. Anne loves the world around her. She can see beauty and mystery in walking across a cow pasture. I love, love, love that about her. Because that is how I want to see the world. I want to be amazed by all the incredibleness of everyday things. Because how marvelous to be delighted by the things that are right around you! How dreary to have to travel great distances to be amazed. I am all for traveling great distances too. But I expect to be just as entranced by the new place as I was at home. If you can find wonder in the way the sunlight hits the drops of dew on the front lawn in the early morning or the endless shades of blue in a ripening blueberry, life will never be mundane. Anne carried her own bit of wonder with her. She could pull it out at will to escape from her hard childhood or wander into it in daydreams to enhance the present. I love Anne for teaching me to see the poetry in the way the light falls through the maple leaves onto the lawn and to thrill to the wildness of birch leaves turned upside down and silver just before a storm. 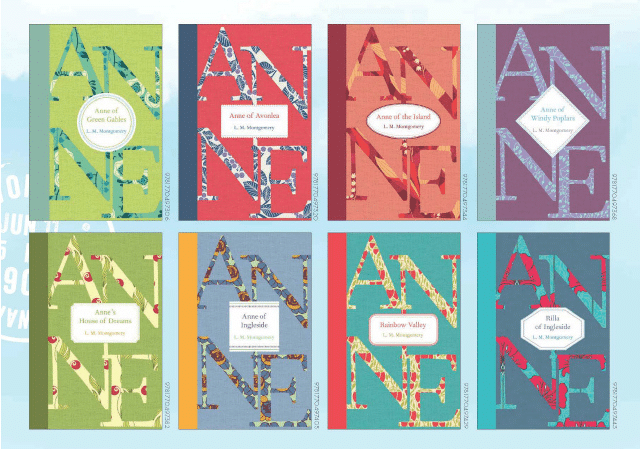 Anne of Green Gables one hundred and ten years old this month. And it still feels fresh to me. Sure, there are some outdated references to heathens and the French Canadians, but mostly, it is the story of a young girl making the best of the difficult hand she was dealt. The story of a young girl finding the beauty and potential in every situation. And I will always, always think of Anne when I pick apple blossoms and carry them inside. Of Marilla grumbling about the petals falling everywhere while Anne is in raptures about the magnificence and generosity of apple trees in giving us blossoms so freely and lavishly. I think I'm going to finally put this on my reading list. I have never heard anyone that did NOT like it. Oh you should! I have reread several of LM Montgomery's books lately and the only thing I notice is that I am a little less patient with the descriptive passages. I love them, but after reading modern books, Montgomery's descriptions seem to go on a little too long. But oh man! That first page of Anne....! Pretty sure you will love it. And the rest of the book!